The crisis in the Central African Republic has reignited, threatening regional long-term peace and stability unless a neutral transitional administration is formed, says CFR’s John Campbell. Welcome to “Women Around the World: This Week,” a series that highlights noteworthy news related to women and U.S. foreign policy. This week’s post, covering June 3 to June 10, was compiled with support from Becky Allen and Anne Connell. 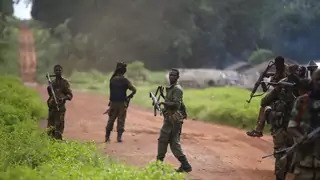 The Central African Republic holds a presidential runoff vote, President Obama hosts a summit with ASEAN states in California, and Eastern European leaders meet to discuss the migrant crisis. summit. The conflict in Sudan’s Darfur region increasingly threatens two neighboring countries—Chad and the Central African Republic. Here is a look at the major actors and how each country’s government has addressed—or exacerbated—the crisis.